The Oklahoma City International Auto Show will be held March 9-11 in the Bennett Event Center at Oklahoma State Fair Park. 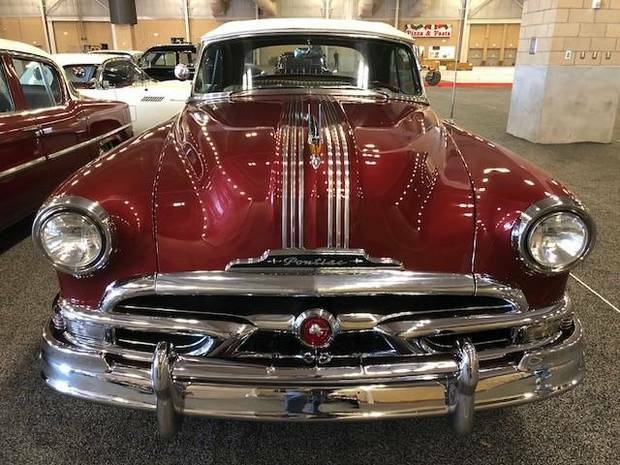 More than 50 cars from the 1950s will be on display. Photo provided by OKC Auto Show. 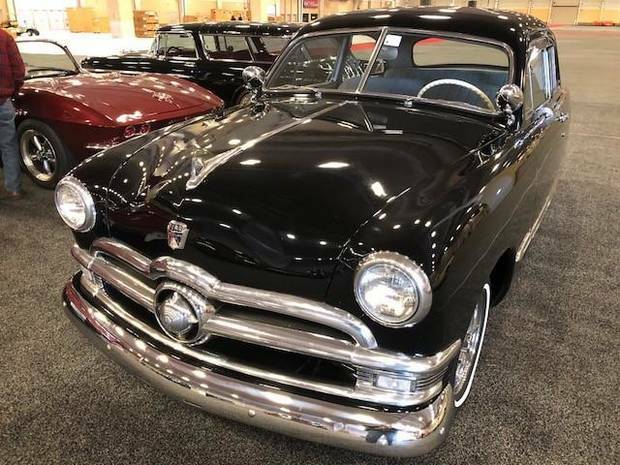 The 1950s were considered a golden age for the automobile, and many of those gems of American engineering will be on display during the 101st Oklahoma City Auto Show in the re-creation of the 1950 OKC Auto Show exhibit. The Oklahoma City International Auto Show will be held March 9-11 in the Bennett Event Center at Oklahoma State Fair Park. More than 50 cars from the 1950s will be on display. Photo provided by OKC Auto Show. 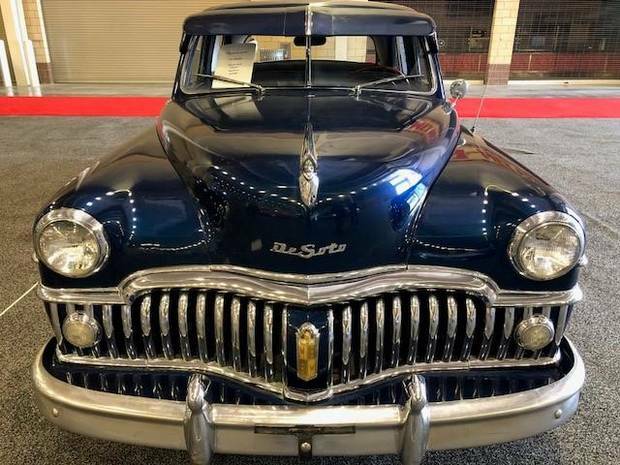 The exhibit will include many different makes, including Chevrolet, Hudson, Mercury, Ford, Rambler, Oldsmobile, Pontiac, Volkswagen, Dodge, Desoto, Studebaker and the GM Futurliner #10 as the centerpiece. American car design reached its experimental, optimistic age in the post-WWII era. These visionary designs also became more widely available to the masses–thus ushering in the Golden Age of the Automobile. 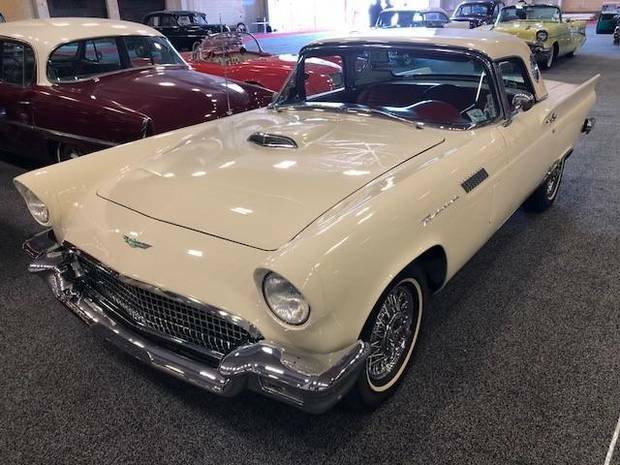 Peter Hodges, president of the Metropolitan Auto Dealers Association, said the exciting thing about the 1950s was the variety of designs and how the cars became part of culture across the country. The Oklahoma City Auto Show is one of the largest consumer shows in Oklahoma and will feature a variety of entertaining activities for adults and kids. In addition to the dozens of automobiles from the 50s, the event will include the return of the Futurliner #10; an 18-Hole Mini-Golf Course Experience with proceeds benefiting the Fellowship of Christian Athletes Summer Youth Camp; a display highlighting four 100-year-old vintage cars; the opportunity to test drive 24 cars and trucks from Fiat Chrysler Automobiles, Toyota and Chevrolet; exotic cars; a “Coffee and Cars” event; a VIP preview event prior to the show’s opening; and many 2018 new cars and trucks from 24 automobile brands. The automobile brands participating in the show include: Alfa Romeo, Acura, Buick, BMW, Chevrolet, GMC, Chrysler, Dodge, Explorer Van, Fiat, Ford, Honda, Hyundai, Jeep, Lexus, Lincoln, Mercedes-Benz, Mini, Nissan, Ram, Sprinter, Subaru, Toyota, Volkswagen and Volvo. The auto show is produced every year by the Metropolitan Auto Dealers Association, a non-profit organization that exists to serve and promote the franchised new motor vehicle dealers of metro Oklahoma City and is the producer of the OKC Auto Show. The Metropolitan Auto Dealers Association was formed in 1916 as the Oklahoma City Motor Car Dealers’ Association. The first OKC Auto Show was held in January of 1917. “We have a proud history. Making vintage cars a focal point of our show not only celebrates these amazing automobiles, but also celebrates our history right here in Oklahoma,” Hodges said. For more information, or to buy tickets, visit www.okcautoshow.org. Discounts are available for tickets purchased online until March 7. Buy one get one free coupons are available at your neighborhood 7-Eleven stores and Solid Rock Basketball.